Representing all of the law enforcement, fireman, national defense and other heroes - and their families - who protect us. For more information please visit the Sam Hicks Memorial Fund website, and contribute if you can. 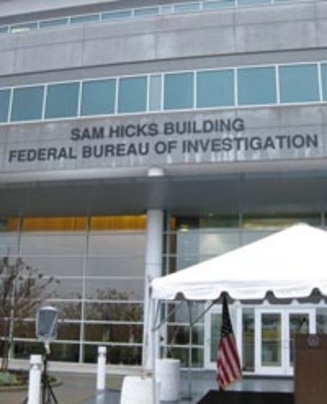 Sam Hicks was a great police officer in Baltimore who became an FBI Agent, and was ambushed by criminals. He is survived by a wife, children and colleagues who loved and admired him. In his honor, and to honor all of the policemen, firemen and all of the other first responders who protect me and my family, and us and our families, we honor Sam Hicks. I have only had three good friends from law enforcement over my life, but all three had something in common. They had all lost dear friends, who were close colleagues, to ambushes. Each had a wife and small children, and my friends hearts, indeed every fiber of their being, went to those left to suffer. In this they are like all of us who lose a loved one who had fought for us, and been there for us in tough times. What’s different is that each of my friends at some point, would also softly and reflectively say, “It could have been me.” That is different, and a burden that I wish I could, but cannot lift. All I can do is honor these heroes and their families who cared for us, and believed in the goodness of the people of our Country so much they were – they are - willing to pay the ultimate price. I didn’t know Agent Hicks, but my friend did. When I read Sam’s story, and I reflect on my friends, what I know is that Justice is in good hands. Acting every day with imperfect knowledge, they believe in truth and the enforcement of law, with the hope that in the case before them, for the people involved, that a kindness for all of us can be obtained. The standard for honoring people in this Brandenburg 300 Project is that they be the kind of people the world would be better off if there were more of them. Agent Hicks and each of my friends, and the thousands of people who run towards the gunshots, or towards the fire, unquestionably exceed this standard. Our hearts are heavy today, as we come together to remember and to honor Special Agent Sam Hicks. Days like this are among the hardest we face. We struggle to find meaning in the midst of tragedy. And we struggle even more to find words to do justice to a man who meant so much to so many. I was not fortunate enough to know Sam personally. But through the stories of his family, his friends, and his co-workers, I have been able to catch a glimpse of Sam’s character. And what a character it was. Sam was something of a superhero. He was full of strength and energy. As one friend described it, Sam had a “command presence.” He never seemed to get tired. According to his squadmates, one second he was in a suit and tie behind his desk and the next second he was in jeans and a hat, out on the street. And though he was always happy for a reason not to wear a suit, Sam was quite at home in a tuxedo. He may hold a world record for the number of times he was in a wedding party. And it will come as no surprise that most of the time Sam was the best man. Sam was also the best man when it came to his job. Even when he was training at Quantico, it was clear that Sam would be an outstanding special agent. As one colleague said, “Sam just had a knack for the job.” And this was true regardless of his task. Sam’s previous specialty was in narcotics cases, having worked countless such cases as a Baltimore police officer. But when he was assigned to the FBI’s Joint Terrorism Task Force, he picked up new skills immediately. Within weeks, he was considered the best on his squad. New task force members simply assumed he was a veteran agent. Sam was unafraid to lead, but never sought the spotlight. He excelled at everything he tried. And he never stopped trying. He was always looking for the next opportunity, always willing to step outside his comfort zone to learn something new. To Sam, it was not about building a resume or about getting recognition. He was motivated not by personal success, but by public service. Over and over, Sam’s family and friends described him as extraordinary. They even had a nickname for him: “Saint Sam.” But Sam did not see himself that way. His achievements were matched only by his humility. Few people knew that Sam was one of those rare minds to have mastered organic chemistry. Most of his colleagues were unaware he had been named “Officer of the Year” when serving with the Baltimore Police Department. And though he was considered by all his colleagues to be a rising star in the FBI, Sam often spoke of his amazement and disbelief at having achieved his dream of becoming a special agent. Sam believed the American people expected and deserved the best of every FBI employee. And that is what he gave, every moment of every day. Sam died doing what he loved doing. He died arresting a criminal. This is what we in law enforcement do. It was what Sam did last Wednesday. And it is what we will do tomorrow, next week, next year. It is true that Sam loved his job. But he loved his family more. The only thing that made him happier than coming to work was coming home to Noah and Brooke. Sam’s devotion to his family was complete. His roommate at Quantico remembers how he would use photos of Brooke and Noah to mark his place in his book before turning out the light. He talked about them all the time. He always had a new “Noah story” to share—a new milestone or a father-son adventure he had enjoyed. One of his favorite stories to tell was about Noah’s first walk in the snow last winter. Noah is just like his dad—once he discovered how much fun it was to play in the snow, he did not want to come back inside, no matter how cold he got. Sam’s love for Brooke burned just as brightly. She was his world, and that was true from the first moment he met her. None of us knows how long our race will be. Sam’s death reminds us that the men and women of law enforcement put their lives on the line every day. Each morning when they pick up their badges, they know there is a possibility they might not make it home. Yet they willingly accept that risk so that others will not have to. They fight the good fight so that we may live in peace. Sam fought the good fight. And though his race was cut short far too soon, we know that he kept the faith. Tucked away behind Sam’s credentials was a folded-up piece of paper bearing a prayer to Saint Joseph, the patron saint of fathers and of departing souls. It is an ancient prayer for protection. Sam knew the risks. He went to the front lines every day, but he wanted Noah to grow up to be a scientist, or a golfer—something that would not place him in danger. It is especially cruel that a man dedicated to protecting others from violence should become its victim. For all those who loved Sam, joy will not come in the morning, nor for many mornings to come. Today, we weep for Sam’s family, which has lost a cherished husband, a devoted father, a loving son, brother, uncle, and grandson. We weep for the FBI, which has lost one of its finest agents. And we weep for our nation, which has lost one of its bravest protectors. Though our hearts ache, we trust that Sam awaits us in a better place. And until we meet again, may we all find joy in the example of a life lived to the fullest. May Sam’s colleagues, friends, and family find joy in the memories they will carry with them. May Noah find joy each winter, when the first snow falls. And may Brooke find joy as she watches her son grow, knowing that Sam is forever present in Noah’s hands, his face, and his heart. 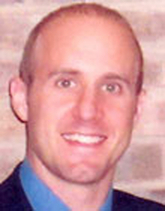 Special Agent Samuel S. Hicks was killed on November 19, 2008 while executing a federal arrest warrant associated with the takedown of a violent drug trafficking organization near Pittsburgh, Pennsylvania. 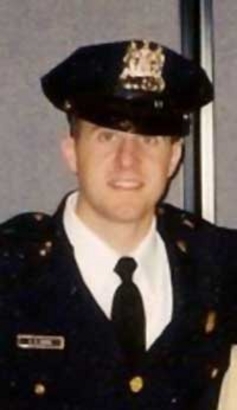 Upon entering the subject’s house to make the arrest, Special Agent Hicks was shot and killed; the subject was subsequently taken into custody. The planned arrest was the culmination of a year-long investigation involving multiple federal, state, and local law enforcement agencies. With his experience as former law enforcement he was really the go-to guy if you had any questions. Just solid, very skilled at everything, encouraging, always had a positive attitude and the first to step forward and volunteer for anything. Just the kind of guy who was the role model for other people in the Academy who maybe didn’t have experience or come from different backgrounds. Sam was the guy that you looked to see, how should I act in this situation? The highest compliment you can pay to someone is to say that he’s the type of guy who I would have been happy with—to have with me as I was going through the door. That was the guy that Sam was. I mean, if anyone was going to go through the door with me I’d want him there. I was Sam’s classmate at New Agents Class 07-05. Sam was the strongest and smartest guy in our class. In defensive tactics he was one of the toughest people to be matched up against. You never wanted to see Sam on the floor. He would tear you apart. On top of that he was one of the smartest guys in the class. I think he had a photographic memory. He remembered things that we learned months prior and no one else could remember. Just a very experienced agent that worked in the Baltimore Police Department and always dreamed of being an FBI agent. So, it’s definitely a real loss to the Bureau and we’re always going to miss him. When I got the e-mail I was shocked because I thought there’s no way that’s true. Sam was so experienced and so strong and just so determined. And I couldn’t picture, of anybody in my class, that happening to him. But it just really brought forth the fact that it’s a dangerous job and it can happen to anybody. And his sacrifice is always going to be remembered.